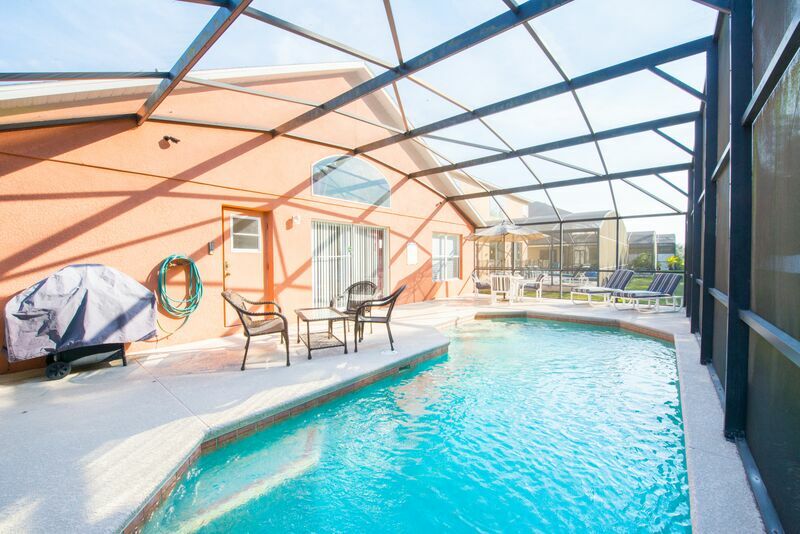 This delightful four-bedroom vacation home in Kissimmee has all the facilities you need for the perfect family vacation in the Orlando sunshine, including an idyllic private pool. 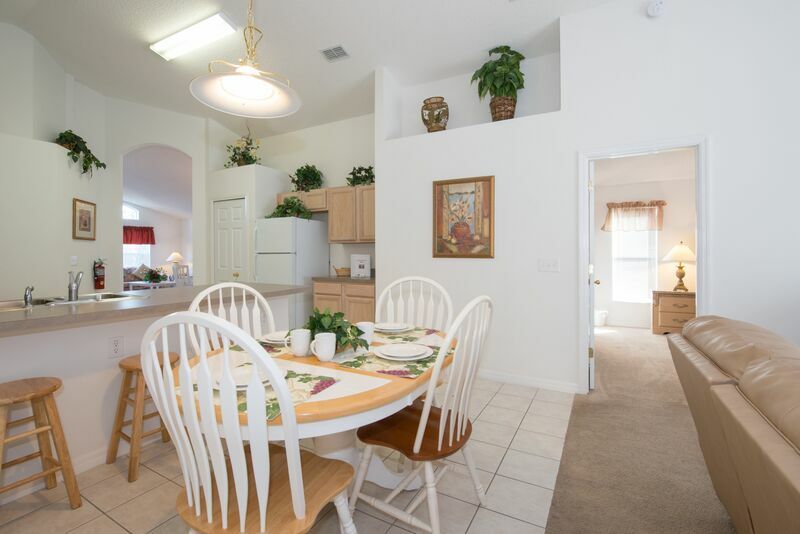 The light, bright, open-plan kitchen and living area gives you a perfect environment for family living Florida-style plus plenty of space to lounge around in. You've got all the amenities and conveniences of the Seasons resort on your doorstep; a perfect location for exploring all that Orlando has to offer. 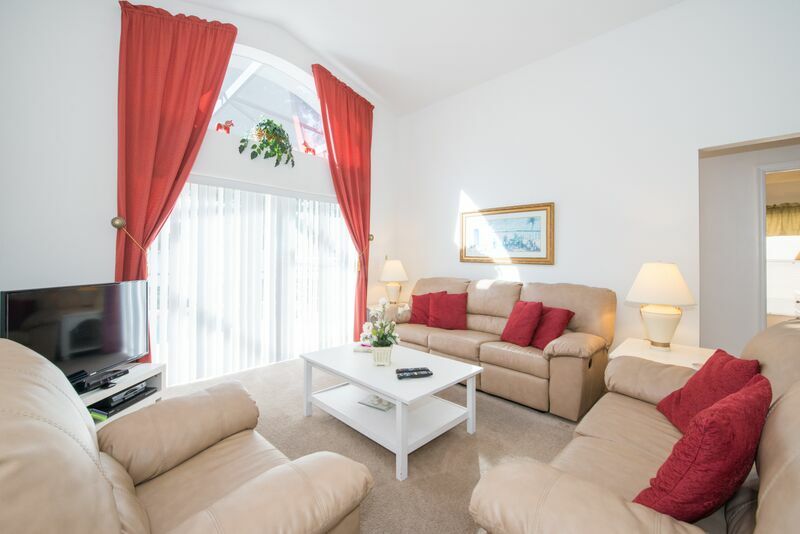 The kitchen and lounge is a bright, open-plan living space, with access to the pool area, a fully equipped kitchen, breakfast table, comfortable family room with large flat-screen TV. This property also has a second (more formal) living room and dining room so there is plenty of space for your whole party to relax in. he Master bedroom, sitting just by the family TV lounge at the rear of the villa has a King-size bed, windows overlooking the pool deck, en-suite bathroom and walk-in closet. Across the lounge on the opposite side is bedroom 2 with a Queen-size bed, closet and en-suite bathroom, whilst bedrooms 3 and 4 are both twin rooms and have been decorated and furnished in a style to suit any guests. Bedroom 4 is next door to bedroom 2. 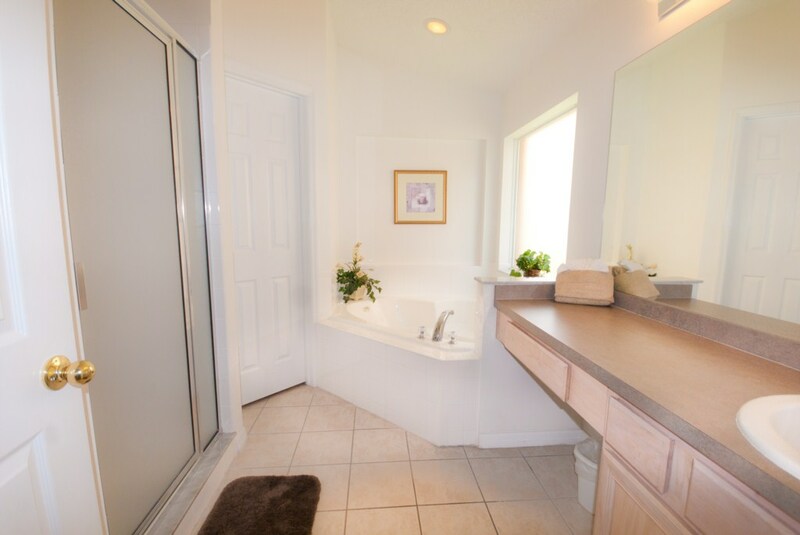 • Master Suite overlooking the pool area, king-size bed, large flat-screen TV, spacious en-suite bathroom with luxurious corner bath & walk in shower. 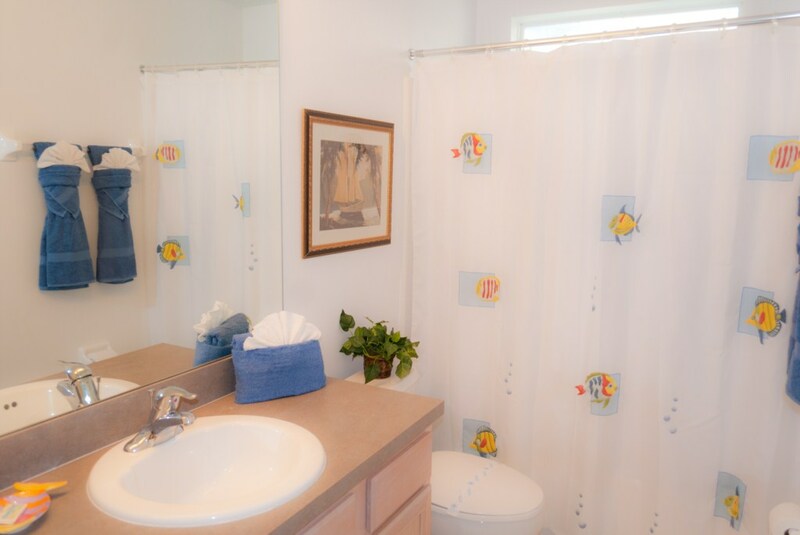 Family bathroom has shower over bath, sink and WC. This home has the bonus of a games room with an air hockey table. 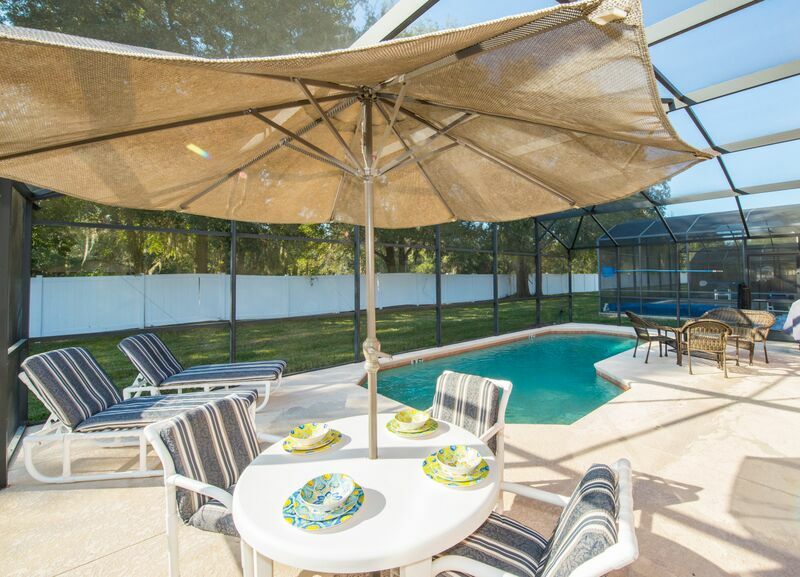 The generous fully screened patio has a beautiful South-west facing private pool, sun loungers and patio set. 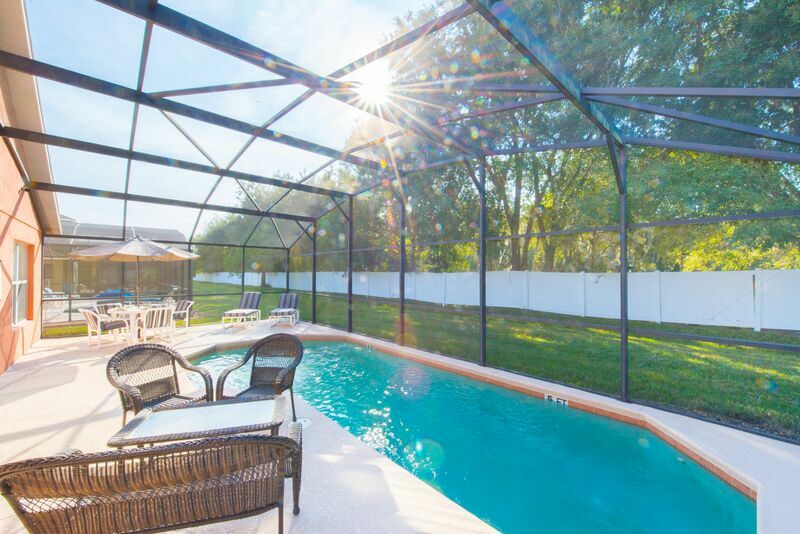 It is an idyllic spot to soak up some Florida sunshine before or after hitting the theme parks! The pool can be heated at a small additional charge (currently $28 per night). We recommend you purchase this extra if you are staying between October and April. Seasons is one of our favourite Florida resorts. 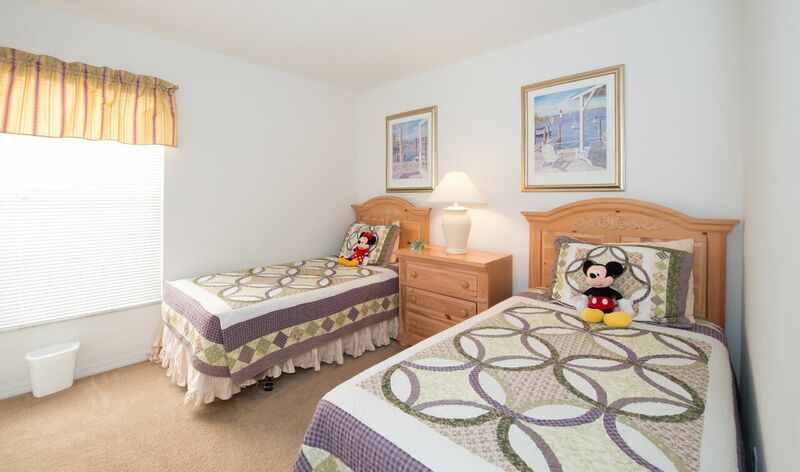 The Kissimmee location is ideal for getting around Orlando – Disney is around a five minute drive away. There are loads of other great amenities and attractions on your doorstep, including the Medieval Times, a family petting zoo, pony trekking and a whole array of shops and restaurants. The Seasons resort itself is very peaceful and has a kids' playground and lakeside walks to enjoy. 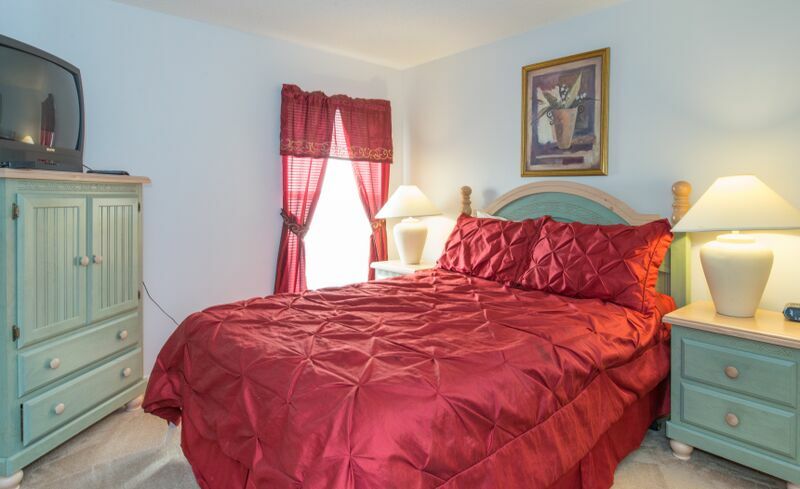 Seasons, Kissimmee, Florida is a small secluded community minutes from restaurants, shops, the Super Wal-mart and the Central Florida attractions like Medieval Times (which is within walking distance!) Seasons is based around a man-made "lake", a great place to stroll and watch the Florida wildlife - families of ducks and their ducklings are frequent visitors and have become very popular with the neighbourhood. 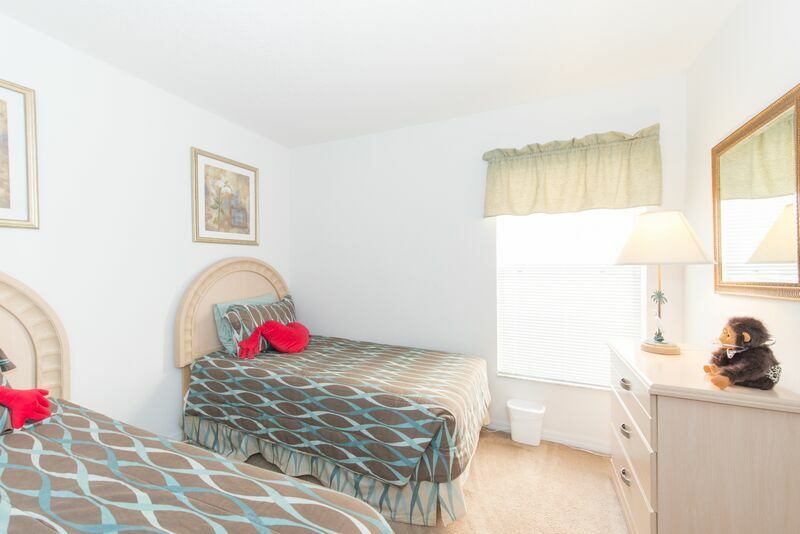 Located only a mere just 10 minutes to Disney World with easy access to Sea World 15 minutes and Universal Studios 20 minutes. There are many Championship Golf Courses located a short drive away. We are centrally located between the Atlantic Ocean, the Gulf Coast Beaches and Cape Canaveral, making all close enough for an enjoyable day trip. The nearest supermarket to the Resort is Wal-Mart. It is less than 2 minutes drive. Kissimmee hosts a variety of places to eat out, from "all you can eat buffets" with something to please even the pickiest of eaters, to more occasional restaurants such as the Outback Steakhouse. You will also find traditional American cuisine at diners such as Denny's, or why not try pancakes at IHOP (International House Of Pancakes) You are never more than a few minutes drive from all the necessities, including pharmacies and internet cafes. Everything you need to make a perfect vacation is located within 10 minutes of Seasons Resort. 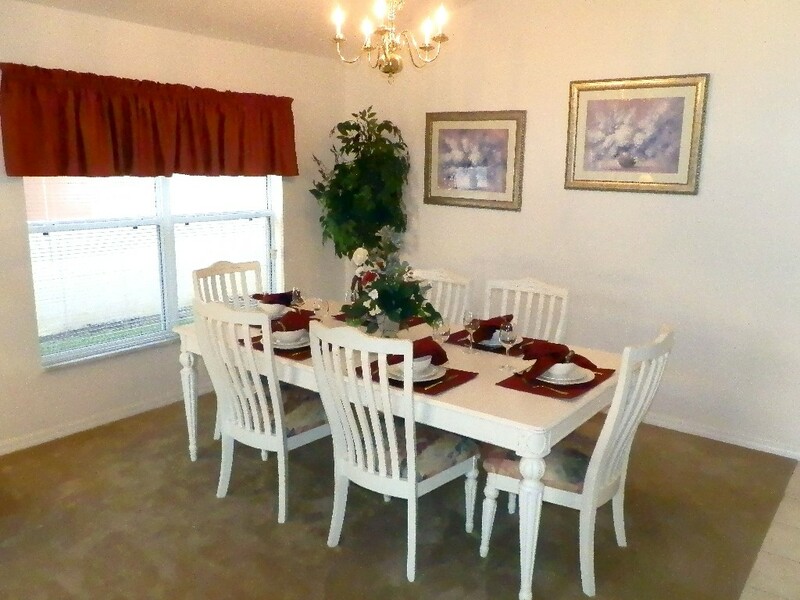 Orlando4Villas opinion, Seasons Resort Kissimmee offers much for the family coming on vacation to the Orlando area. 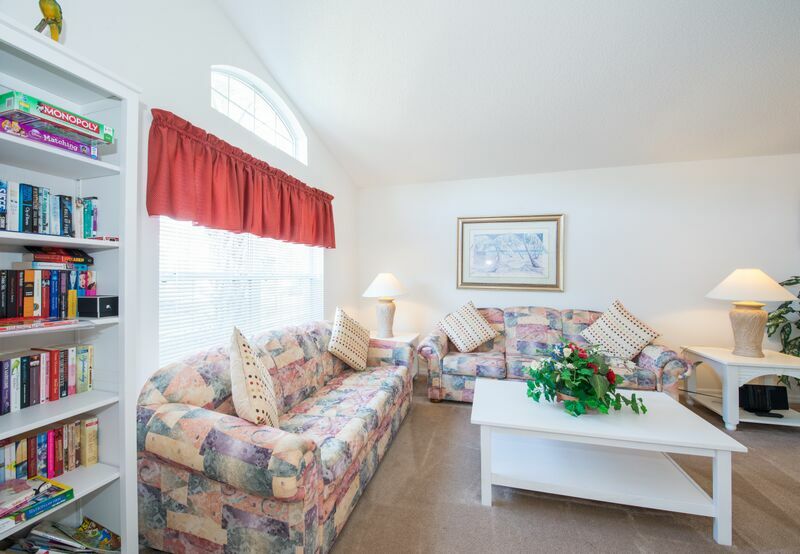 The community Seasons Resort is fantastically located within the Kissimmee area, with everything you need to enjoy a fabulous stay. 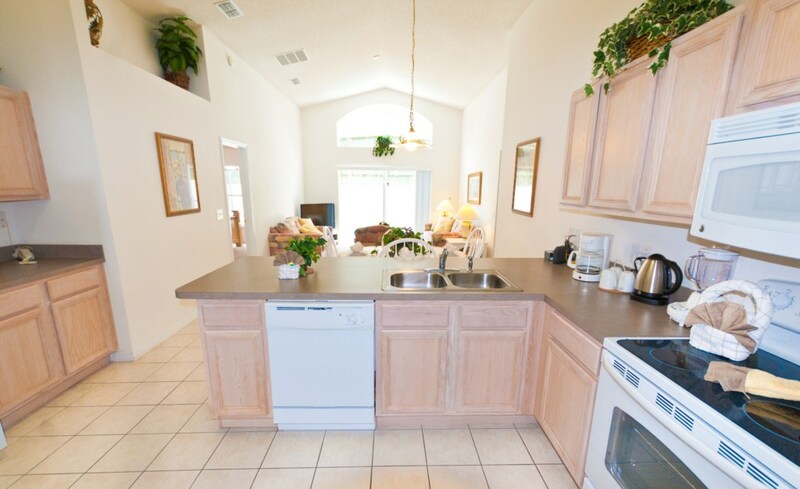 Orlando4Villas has the large selection of vacataion homes available for rent in Seasons Resort.